Inter Expo and Congress CenterExhibitions, Events, Emotions…The main goal of Inter Expo Center’s team has always been to develop the already acclaimed exhibitions and, at the same time, to realise ideas and concepts for new events, related to the priority field of development of the Bulgarian and world economy, giving them power for business. Inter Expo Center (IEC) – Sofia is hosting the biggest international and local congresses, trade exhibitions, as well as every significant event conducted in Sofia.Using appropriate visual transformations IEC builds vivid, contemporary and ever-changing portrait of the congress halls and creates the needed atmosphere for the participants and the audience. IEC-Sofia is a proud member of UFI-the Global Association of the Exhibition Industry и CEFA-the Central European Fair Alliance. Spectrum Gaming Group is an independent, globally respected research and professional services firm serving public- and private-sector clients since 1993. Spectrum brings wide industry perspective to every engagement, having worked in in 47 countries. Employing renowned experts in every facet of the gaming industry, Spectrum serves state and national governments, casino operators, regulators, developers, investors, law firms, and other gaming-related professionals and stakeholders. Our services include market analyses, feasibility studies, regulatory consulting and due-diligence services. We do not tell clients necessarily what they want to hear; we tell them what they need to know. Spectrum has offices in Atlantic City, Bangkok, Guangzhou, Hong Kong, New York and Tokyo. Casino International is the specialised monthly magazine for the Casino Industry professionals all over the world. Its mission is to bring news, in-depth features, events and products direct to casino managers and operations, and to be the forum to discuss the major topics of the moment. 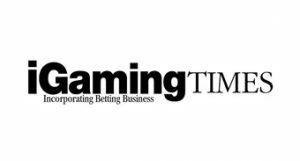 Casino International has become the indispensable international business-to-business publication of the casino industry. 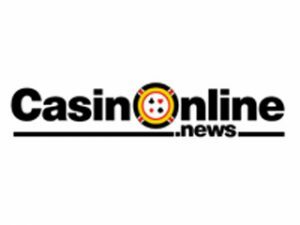 Casino Life and Business Magazine is the first and the most important gambling industry magazine in Central and Eastern Europe being granted twice with the “Best iGaming Press in the Region” in Budapest, Hungary in 2016 and 2017, and nominated twice as “Best Industry Publication” in London, UK in 2011 and 2012. The magazine is the perfect tool for both manufacturers/service providers to promote their products and for operators to promote their sites or events, being the gateway to the local and international gaming industry. The magazine is present to more or less all the important gaming events in world as a media partner. Casino Life and Business Magazine is the promoter of the casinos industry and gambling in the region, each issue containing sections dedicated to the gambling places, famous international casinos, new games or slot-machines. Famous players, public persons, people that matter in the contemporary business world share their experience and opinions in the interview section. Casino News Today provides daily information from wide world of gaming. Our team does everything to ensure that you get the best and reliable news. We know how important it is to be the first to know, we also know the consequences of not having information on time. That’s why we cooperate with numerous companies associated with the casino business in order to provide first-hand news on multitude of topics. Our goal is to provide views, comments and statements that come directly from the source, so that our readers can see the bigger picture. 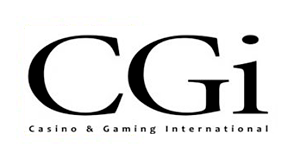 Launched in 2005 as a premium quality, strictly editorially led B2B publication for the Casino, Gaming and iGaming sectors, CGi quickly established itself globally as one of the most respected and well-read publications in the industry which eventually saw the publication being named as Magazine of the Year at the 2011 International Gaming Awards.Officially supported by the industry’s leading associations, commissions, governments, providers and events, CGi continues to reflect on the variety of corporate policies, methods and styles informed by contrasting cultures and customs, to illustrate the industry’s growing global character and development across established, consolidating and newly emerging markets. Global gaming business. 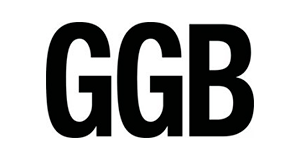 A division of Casino Connection International, GGB is one of the leading monthly gaming trade magazines that focus solely on the international casino gaming industry. 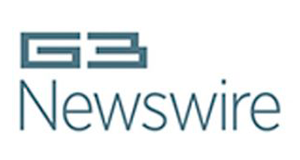 GI Friday is the industry’s leading free weekly news resource from the producers of Gambling Insider, providing an executive brief of the most relevant news stories across the entire gaming industry. 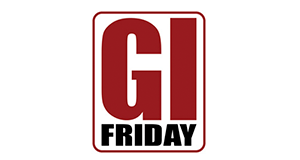 GI Friday is available in the Apple App Store, on Google Play and via email PDF. 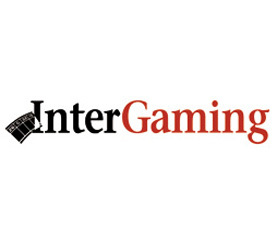 Gambling Insider is the premier event-driven B2B publication for the entire gaming industry. Full of current, compelling editorial, GI offers essential information to senior management worldwide, acting as an additional tool to advance their understanding of key strategic issues. Accessible to members via print, online, iPad/iPhone, Android devices, and Kindle Fire. Gioco News is a very complete gaming network with a monthly review (Gioco News, with its 100 pages, is the only Italian magazine with a section in English language and the only gaming review delivered abroad, not only in Italy) with a daily-news online – www.gioconews.it – the point of reference for the gambling industry, and two other specific online daily news dedicates to the Poker and Casinos worlds.It is the only Italian newspaper dedicated to the world of poker and it is a point of reference for the operators of the field and for the players. 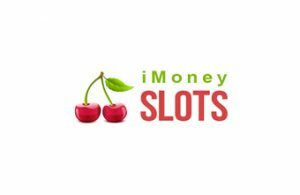 iMoneySlots is the place where the true player is able to find all information for the exciting gambling: the reviews of online slot games, casino software providers, rules, tips and strategies. The pages of the website include useful content about the cutting-edge online casinos and its ratings. The National Polytechnic Museum is the only museum in Bulgaria that collects, studies, preserves and presents the development of technics, science and technologies that has influenced the life in our country. Over 1000 exhibits are displayed in the permanent exhibition. Only here one can see three-wheel Messerschmitt KR 174; 1928 Ford Model A; old motorcycles; a wooden bicycle; an unique collection of mining lamps; equipment for producing rose oil; a rich collection of pocket clocks. There are also radio and television receivers, sound recorders, phones, musical instruments. The Bulgarian contribution to the development of computing equipment is also presented here – the first Bulgarian microcomputer IMCO – an analogue of “Apple II Plus”, calculator ELKA6521 – the fourth one produced in the world and the first that includes the rooting function.The museum is a place, where people can spent pleasant and useful hours with their families, relatives or friends. Vending Inside concept aims in offering the vending market the instruments it needs for revealing the maturity and development of the moment. Vending Inside aims to offer an accessible and smart concept, easy to read, with information on company profiles, product presentation, analysis, articles, interviews, but it also provided the possibility to find the information you need, the technical features of certain components. This is the magazine where you can find the successful stories of those who put the mark on the industry during the last 20 years. The magazine will also reveal the dream places where the best coffee in the world was born, or the places where cash no longer exist, since the electronic payment took its place. Vending Inside is the magazine inside the vending industry that offers information, communicates messages, educates the consumers, and transmits the benefits of the vending services and products to the large audience through the direct connection of all the actors in the market. Yogonet.com is a digital newspaper dedicated to the gambling industry. On its English and Spanish editions, it brings all the information related to this sector, such as casinos, bingos, lotteries, openings, tender processes, racetracks, tournaments and legislation. MyDearDrone provides you with all the vital information about drones such as reviews, articles, video, guide, technical help in one place but presented in a structured way so you will able to find the right information efficiently and will able to understand it. 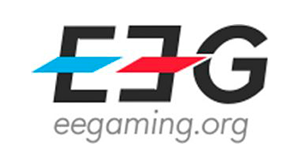 PressGiochi.it is a new digital daily newspaper dedicated to the Italian gambling industry. 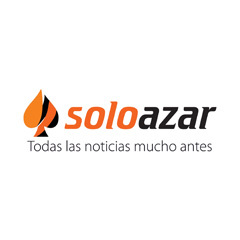 All of the industry’s elements can be found in it: Newslot, Vlt, casinos, poker, betting, bingo, lotteries, on or off-line with editorial content, articles and interviews. In PressGiochi.it you can find information about companies, international and national events.Our editorial board writes on business, products, legislation, marketing, management, technology and different subjects associated with the gaming sector. PressGiochi.it brings every day all the main and up-to-date news in the gambling business.